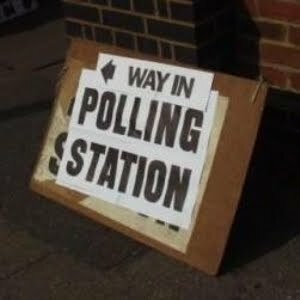 Over the coming month I am going to be reporting on the UK General election analysing the week by week action from a brand strategy perspective. If you would like to receive these thoughts and get involved in the debate then sign up NOW! (It’s free and easy). As Gordon Brown, the UK Prime Minister, made his way to Buckingham Palace yesterday, with camera helicopters chasing his every move, the official starters gun fired on the UK General Election. Two main parties are in the race – Labour led by Gordon Brown and David Cameron‘s Conservatives with a third smaller party The Liberal Democrats making up the roster whose leader is Nick Clegg. Some are billing this as the “closest” election for years. Actually from an opinion poll perspective the Conservatives have what historically is an almost unassailable lead ranging from 5-9% over Labour. However boundary changes and Labour’s strength in urban areas means that in order to win power The Conservatives need a major 10%+ swing to gain power. The prospect of a hung parliament is a real one. But where are the main brands and their strategies as we go into this exciting and important election. Despite David Cameron and George Osbornes’ (Shadow Chancellor) best efforts to reposition the Conservative party it hasn’t been as successful as it should have been. When Tony Blair and Peter Mandelson undertook the repositioning of the Labour party in order to win power in 1997 after 18 years in opposition they tackled both the strategic and the symbolic. They understood that the only way to really convince the electorate and win back trust was to truly give evidence that would lodge in people’s brains and persuade them of the changes. For Labour this wasn’t the addition of the eponymous “New” to their party name but actually the smashing of symbols of “old” Labour such as Clause IV – the pledge on the means of production being in state hands. This combined with a series of clever tactics to neutralise doubt and allow middle class voters to think of Labour as a real option. They had lots of clever economic ideas but it was the promise to keep to the spending commitments of the Conservative government at the time which allowed people to get over their trust barrier since it allowed people to think “at least they can’t be worse”. Unfortunately for The Conservatives their repositioning has been much less significant or impactful. Perhaps it is the consequence of too many people, including David Cameron himself, having a marketing and communications background but the electorate have, I think, a pretty good sense of the truth, that much of the change has been at the surface. A new logo, a new leader, a new team, a greater focus on public services and a general move to the centre ground. But people still know that the Conservative party is still full of the old guard and the old links to privilege. David Cameron is an old Etonian – which shouldn’t matter – but from a brand perspective it does. It’s a symbol that the party hasn’t changed at its heart from the old ruling elites. The question is can The Conservatives turn what they have to their advantage? I think there is an opportunity to return to some of their older, more deeply, held values such as lower regulation, more decentralisation and lower taxation to stimulate a commercial revival, and to say this with conviction presenting a more coherent and convincing story. This would integrate some of their new brand assets with their old. 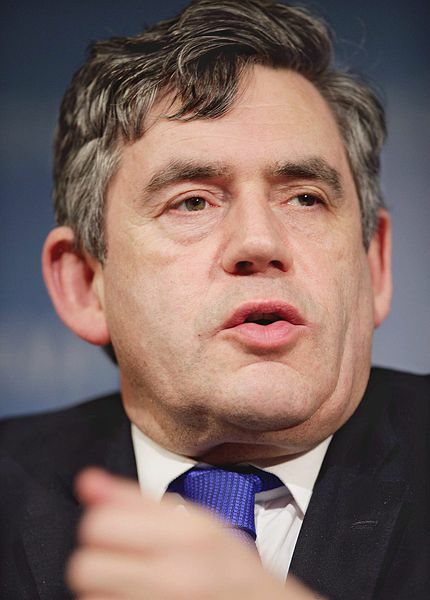 Gordon Brown is also a potent symbol. Unfortunately for him both politically and personally his brand story is tragic. The “nearly man” who when he made it to power oversaw a crumbling of a government. The struggle of Brown is monumental. He is battling on so many fronts: the history of New Labour and Tony Blair; not having a mandate; economic crisis; Union power; Cabinet disunity…. His personal “rebranding” attempted through a series of more informal interviews is too little too late. Again the electorate has a pretty good view of the truth that Gordon Brown is a left leaning passionate politician, who has given his life to politics, but is consequently mono-dimensional and difficult to get on with. Not a people person at all. The trouble is that he seems tired, whether smiling or not, and as a symbol of a government 13 years old, this is not good. The challenge for Labour is to communicate freshness and new ideas which is why a new leader installed a year ago would have helped. The media is obsessed, off the back of the MP’s expenses scandal, that this is an election about which political party brand or leader-brand to trust. It isn’t. The expenses scandal was shameful but given the standing of politics in most people’s minds was just a confirmation that the “pigs” had their noses in the trough. This is a massive issue for the UK but this election will make not one jot of difference. By June everyone will still think that MPs are “on the take” and untrustworthy. The battle for trust will not be won in the next 6 weeks. Let’s remember that political power in the UK has been taken over almost completely by people with little experience away from Westminster. 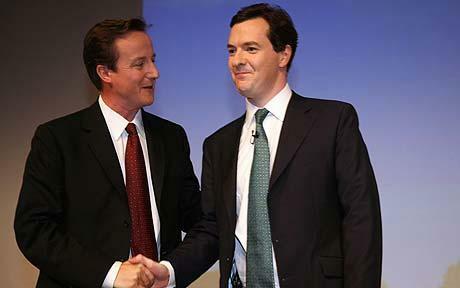 Brown and Cameron are prime examples, both have devoted their lives to the pursuit of political power. If the “political class” think they can regain trust in this time then more fool them – there needs to be serious reassessment of our political model, who and why people are involved and how our democracy works. This needs to be a national priority over years not weeks. No, I believe that this election will be squarely about the economy and who will make the most progress the fastest on the deficit and creating economic, consumption based wealth again. Almost everything else, unfortunately, will be superfluous. And here the brand battle lines are actually quite neatly drawn: Labour with an investment led approach, using Keynesian public sector interventions, and crucially not cutting in 2010; with The Conservatives advocating cutting sooner and deeper (although they won’t admit it) and enabling a free market recovery to pay down debt. These are the same positions that have been held by the parties for decades. The brand and electoral challenge will be which party can communicate from their leadership, through their symbols, integrating their history, to their policies, in the most coherent and convincing way. From that perspective this election is a classical brand challenge – how to use all your assets to surround the consumer with the right consistent cues to make them buy. Tune in next week for further thinking on round two of this political brand bull fight! Remember you can sign up to receive this blog every week either in a reader or by email – it’s free and easy – click here NOW!